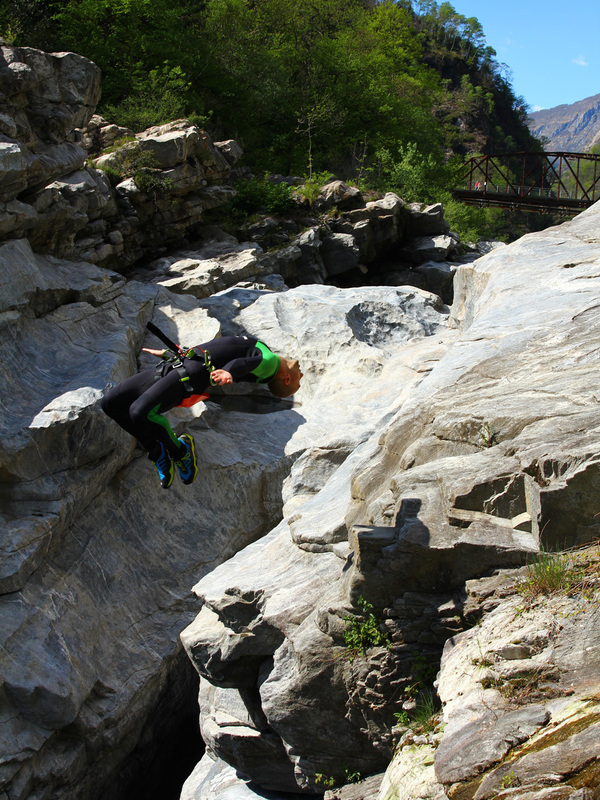 Canyoneers.co.uk | People who go Canyoning! Big thanks to Dave Clark for a putting a nice edit together of the weekend of first canyoning symposium in the Lake District in the UK. The weekend was based out of Longsleddale Outdoor Pursuits Centre, Longsleddale Outdoor Pursuits Centre is a voluntary outdoors centre based just North of Kendal in the Lake District. It was formed 40 years ago to provide free or cheap access to the outdoors for the underprivileged youth of Bolton / Manchester. When I am asked have I under taken any, water rescue courses, my answer is always, “Yes I’m a Rescue 3 WRT”. Most of the time here in the UK I get a puzzled look and they reply, “Oh… WWSR?”. WWSR or White Water Safety and Rescue is a BCU, course is no where on par with the WRT course. My personal opinion is that the Rescue 3 WRT is the better of the two. But its your choice. Have a look at the course break downs below. The WWS&R training course is designed for all paddlers operating in a moderate to advanced white water environment in either kayak or canoe. In addition, the training is required for those seeking their 4 star leader (white water or open canoe) award. To improve individuals awareness of safety skills in the river environment. To teach personal survival skills. To teach throwline rescue techniques. To understand the need for structure in an emergency situation. To outline basic rescue protocols that prioritise the safety of the individual above all others. To introduce & develop the ‘clean rope’ principle. Last weekend I attended the First Canyoning Symposium in the Lake District, and what an awesome weekend it was. Big thanks to Ben and Debbie from Cave and Canyon UK for planning an hosting a great event. The event was hosted at Longsleddale Outdoor Pursuits Centre – LOPC this year. I must admit finding the site in the dark on a Friday night, after a long day in the office doing the 9-5 grind, was a daunting prospect. Seeing there nice yellow number plate sign, glowing in the head lights of the car was a welcome site. The LOPC is the last barn at the bottom of the track. Upon parking up I was met by Ben, and given a quick tour of the center in the Dark, before being offered Beer and food cooked by Debbie inside the main barn, and a little bit of watching Canyoning in Nepal. I had last met Ben when I did the UK Canyon Guide, Technical Canyon Course, back in May 2014. I haven’t managed to get out and do much canyoning this year, and this event was a welcome opportunity to do some canyoning and have fun with like mined people. The LOPC was a great venue. Split over four buildings. The main barn with kitchen, eating, and social space. The kit store. The toilet and shower block. The the bunk house, with three separate rooms. But for me the best bit was there is a little canyon behind the site, and 40 mins walk away there is an even better one, the Upper Sprint. The bunk house had been ok. There was only a few of us so we had been able to spread out on the alpine style bunks. After bacon butties, the plan for the day was set out. I had canyoned the Upper Sprint back in May 2014, and was excited to do it again. We were spoiled this year and drove to the get in. The abseils are fun with good protection for rigging. There is a sweet little gorged in section that’s a little more committing and technical. There is a nice deep pool at the bottom of the gorged section if you want to do a few jumps. After a few hours in the canyon it we were through and it was time to head back to the center for lunch, and a hot shower. Lunch was a continental spread of cheeses, salami, and breads. As well as some good canyoning talk and sorting out our gear. Time for a spot of bolting. We decided that some indoor bolts were needed for future training use. So we set to and put in a few different type of bolts. Your typical expansion bolts, glue-in bolts, and the hammer in self drill rock types. We also added some glue-in bolts to the gorge, behind the center for redirected abseil, setup. (some fun was had, but I’ll leave that for another day) During the installs we covered rock inspection, the right bolt for the right type of rock, and hanger types and load angles. After the fun of installing a few bolts it was time to get some dinner. Dinner was made by Debbie, and plates all cleared once again, a few pics of the day were shown and the odd canyoning video too. Drinks were enjoyed late into the night until bed called. The final day. Bacon butties were enjoyed once again, followed by a bit of packing up. We made plans for our final canyon. A new one for most of us up near Thirlmere. Before we set off I stocked up with some new shiny canyon gear from Cave and Canyon UK. Some nice new shiny crabs and a new barrel for the bottom of my rope bag. With cars and vans packed up we headed off for some fun. I wont say too much about this little one. Its a gem and we don’t want it getting too over used at the moment. A quick catch up in the local, before everyone headed off home. Thanks every one for an awesome weekend. To old fiends and new, keep in touch and if I don’t see you before, see you at the next Canyoning Symposium. Gillett World Sport, recently interviewed Warren Verboom. Check out the interview below. check out http://www.deapcanyoning.com/ for more exploits from Warren and his crew. A while back now we went and check out Aber Falls Little Brother. It looks nice, but there is no easy way to protect the drops. The pools are shallow and filled with boulders. I next plan to walk across to tops to see. If there is anything better further back. Posted in Aber Falls, Canyoning, North Wales, Scout. As promised if not a little late, here is the Prysor Canyoning trip video. Posted in Canyoning, North Wales, Prysor, Video. I was lucky enough to get the chance to revisit Aber Falls this weekend. Its a quality canyoning location. 4 abseils, jumps and lots of slides. We didn’t get to run the main falls as there was a little too much flow to get to the final rigging point, so only managed to get in two abseils. You run starts where you the big boulder on the path. Drop down to it from there you see the small boulder. This is the abseil point. This is a nice start to get people abseiling. There is a two tier grass step before you get to the ledge that takes you into the water fall. The pool at the bottom of the fall is shallow but clean. Into the slides. there are numerous sides from this point, all easily inspected. Always inspect any pools before you slide into them. Washing machine. On a low flow this is just a nice deep jumping pool, from the rocks on the middle left of the pool. On high flow, it gets its name. the water produces a jet of water that hits the jumping rock. Drop down on the left and slide in you get a nice dunking by the jet.. Best to have someone tired off at the edge of the pool to stop anyone going over the next fall though, and the rope doubles as a tag line to get everyone back up to the jump rock. A big slide. There is a deep pool at the bottom, but an over hanging tree over the top of the pool. we tried to clear the pool as best we could. its best ran on the right. Next is the lead in to the second abseil. The water funnels down a slot on the left. The abseil point is on the left at the end of the slot. You can rig from the boulder the the top of the slot to get people down to the abseil point. or get them to step across lower down. This abseil is about 15 meters. the pool is deep, the exit to the pool is on the right, which shallows. out nicely. This is handy as this is the start of the main falls. three tiered drops. This was where we walked out today. its an easy walk out back to the path from this point. up to the right.